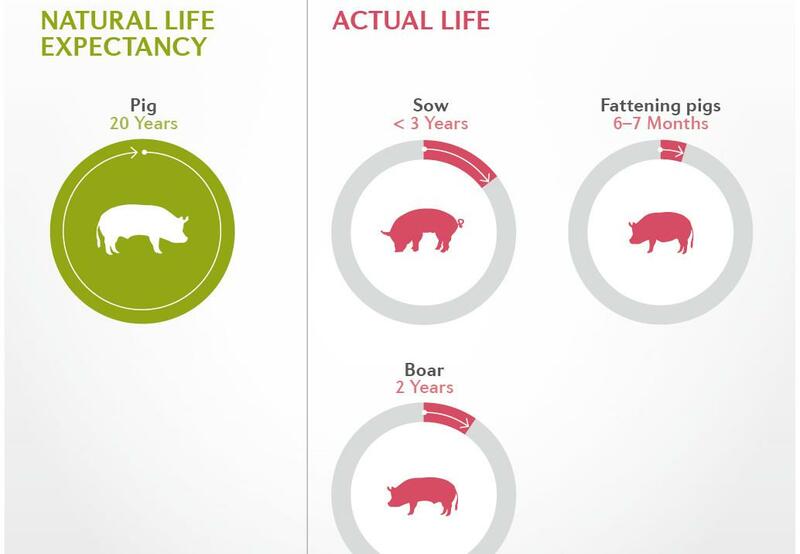 How old would a cow, a pig or a hen get to be if the animals were not slaughtered? 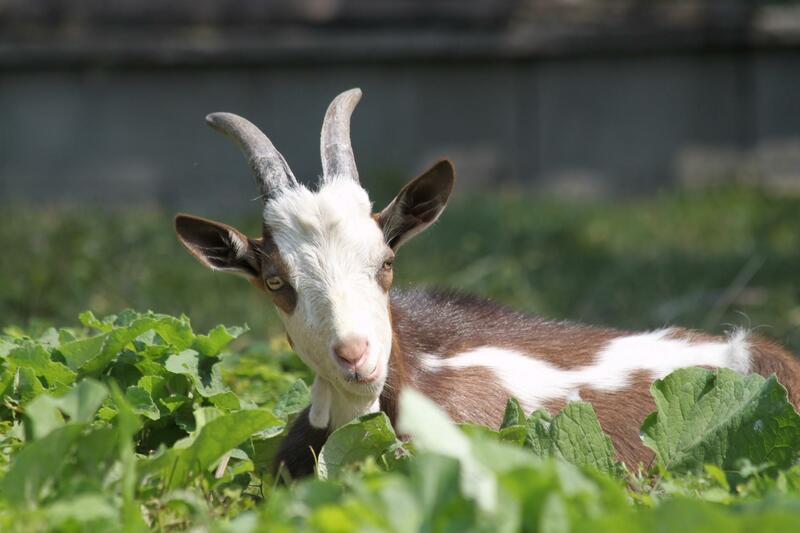 Surprisingly, it is not an easy task to find out the average natural life expectancy of so-called livestock. 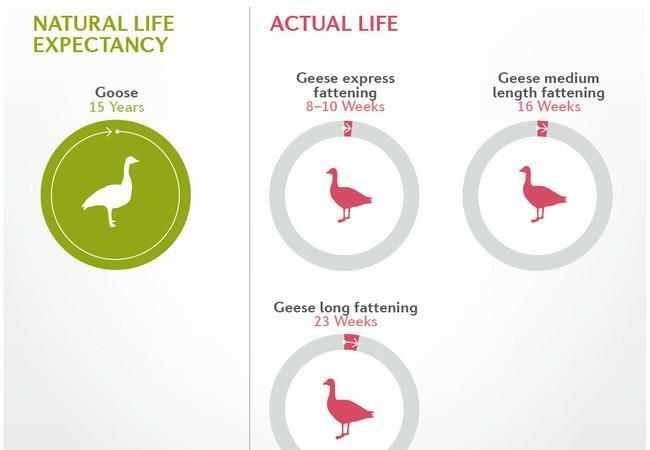 Neither farming textbooks nor expert journals make this information readily available. 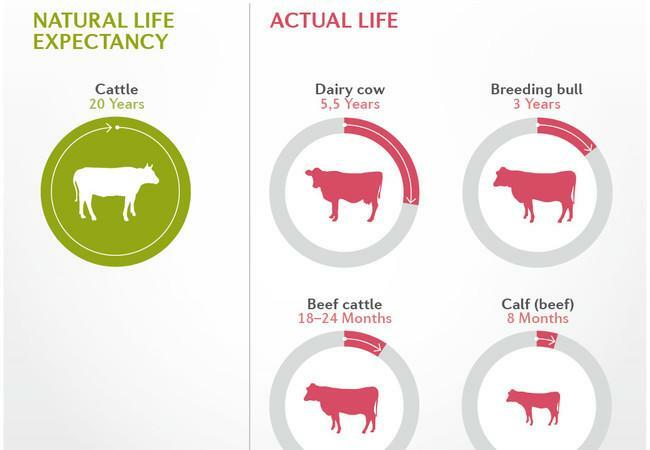 This is particularly sad because it shows that the actual life expectancy of these animals is of no significance to the farming industry. 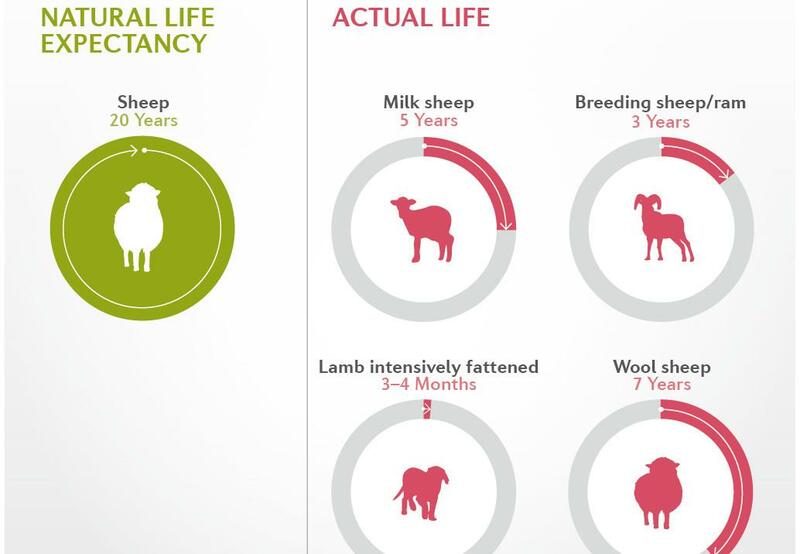 The ideal age for slaughter, on the other hand, is easily found in many textbooks and agricultural fact sheets. 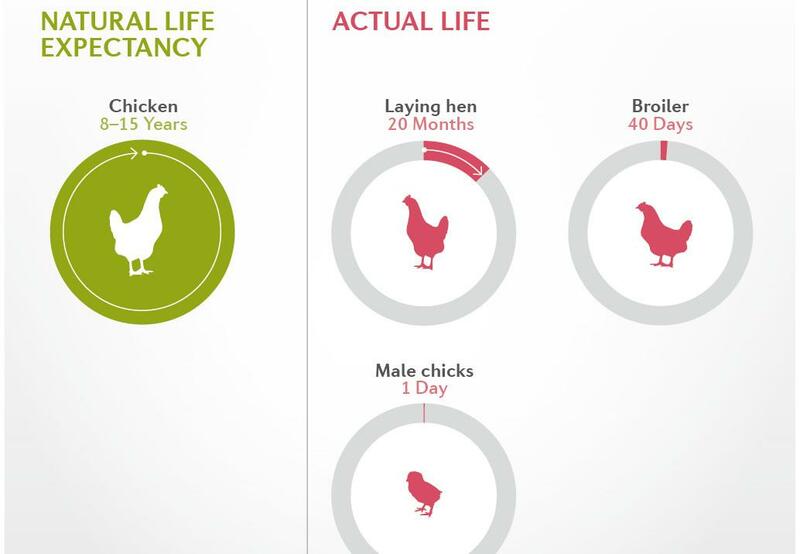 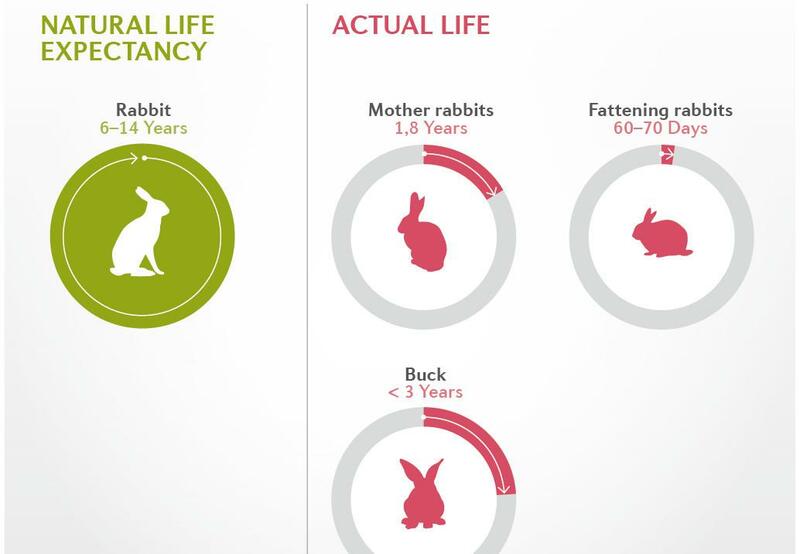 Comparing the average length of their lives as farm animals with their potential maximum life expectancy reveals a huge discrepancy. The potential life expectancy of all species of farm animals is several times higher than the age at which they are slaughtered.